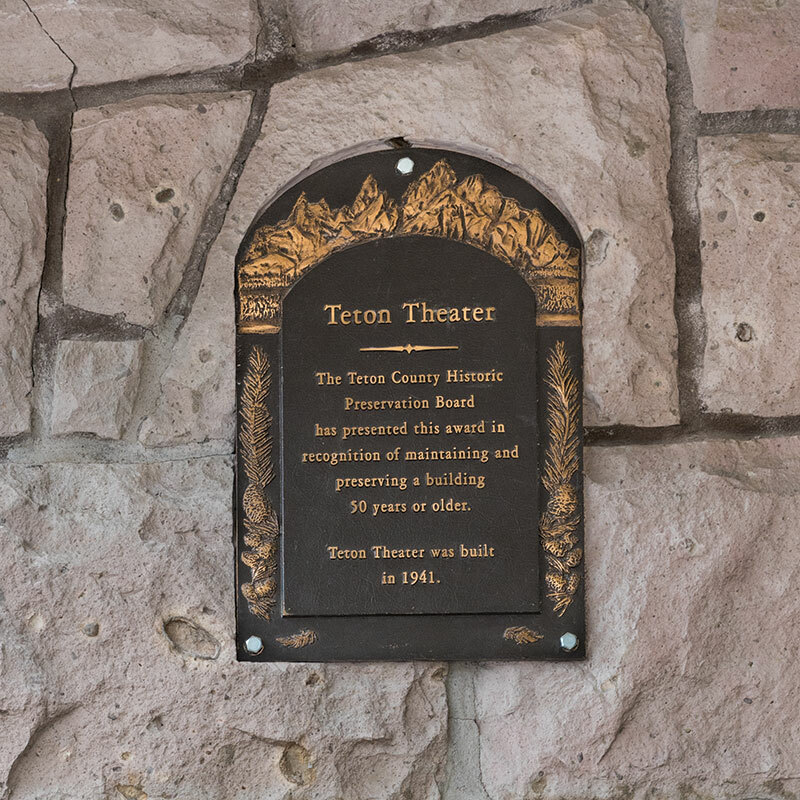 Local restaurateurs Paul Cucchiarelli and Martin Brass faced a tough dilemma: how could they keep the original character of the beloved Teton Theater alive while innovating a family restaurant that could enrich the community in new ways? 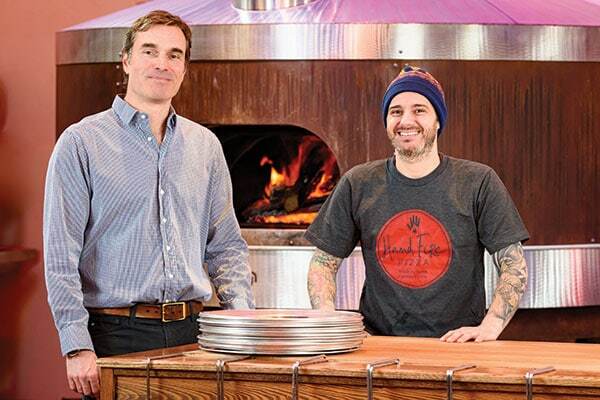 Cucchiarelli and Brass found an answer in Hand Fire Pizza, Jackson’s newest gathering place. 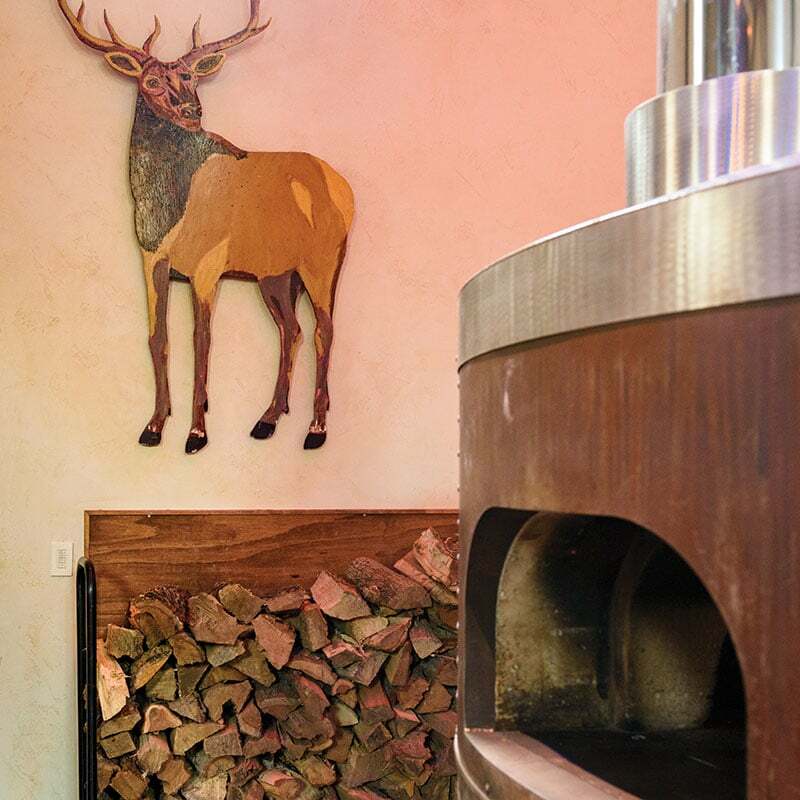 New state-of-the-art pizza ovens sit beside familiar details, like animal cutouts and a glowing marquee sign from the original theater. 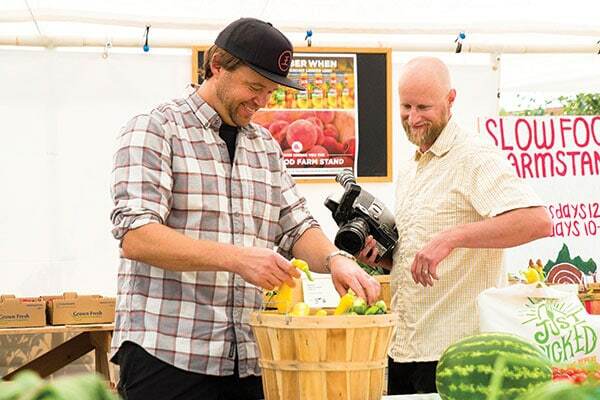 Now, local families can make new memories by dining in an establishment that seeks to provide fresh, organic ingredients to the masses. 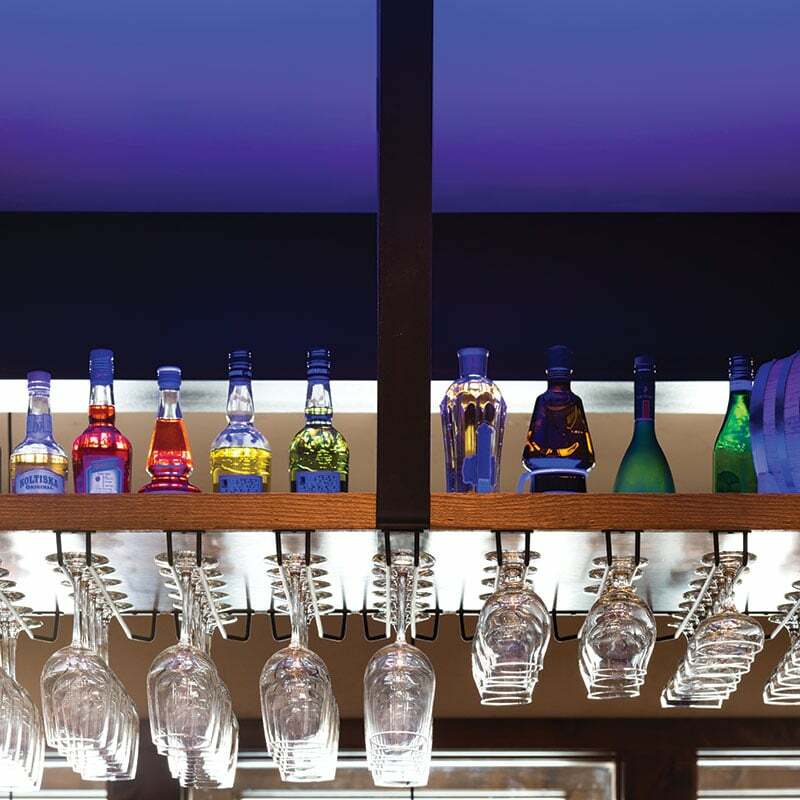 Cucchiarelli and Brass are both fathers of young children, and the restaurant has a healthy, family-friendly ethos. Cucchiarelli knows a thing or two about good pizza, which he lauds as “highly customizable.” He grew up in New Haven, Connecticut, eating top-notch New York-style pizza, and began cooking in his college dining hall at age 18. Pizza has continued to inspire him throughout his culinary career. At Hand Fire Pizza, Cucchiarelli is in charge of the kitchen, where he dreams up mouthwatering favorites like the “Meatbawls” pizza made with local Hereford Ranch beef, herbed honey ricotta, and organic red onions, or the unique bacon and potato pizza made with local fingerling potatoes, nitrate-free bacon, and fresh arugula. 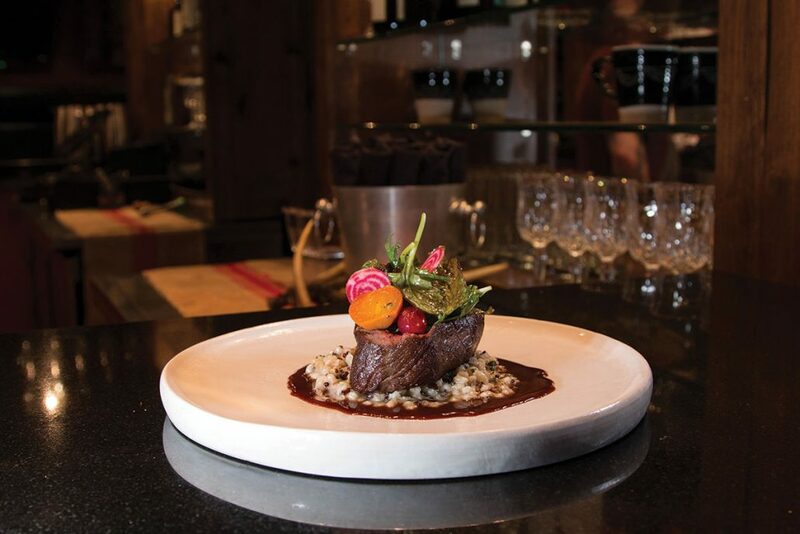 While Cucchiarelli uses his creative talents in the kitchen, Brass manages the business side. He conceptualized Hand Fire Pizza after falling in love with Jackson in 2005 while on a ski trip with friends. Cucchiarelli and Brass also strive to be community-minded and supportive of local nonprofit endeavors. Every Tuesday night, a portion of the proceeds from each pizza sold goes to a local nonprofit. “We want to support the community that supports us,” Brass says.